I’m still completely loving the Sealed with Love stamp set! Who says hearts are only for Valentines Day? This pretty little card took me about three days to make! I started it one day and finished it up later in the week. I sure hate it when life gets in the way of crafting lol! This card was so easy to create. Once again I found myself reaching for the Carousels & Cupcakes palette. Several of the heart images are randomly stamped on Whisper White in Peekaboo Peach, Pool Party and Calypso Coral. 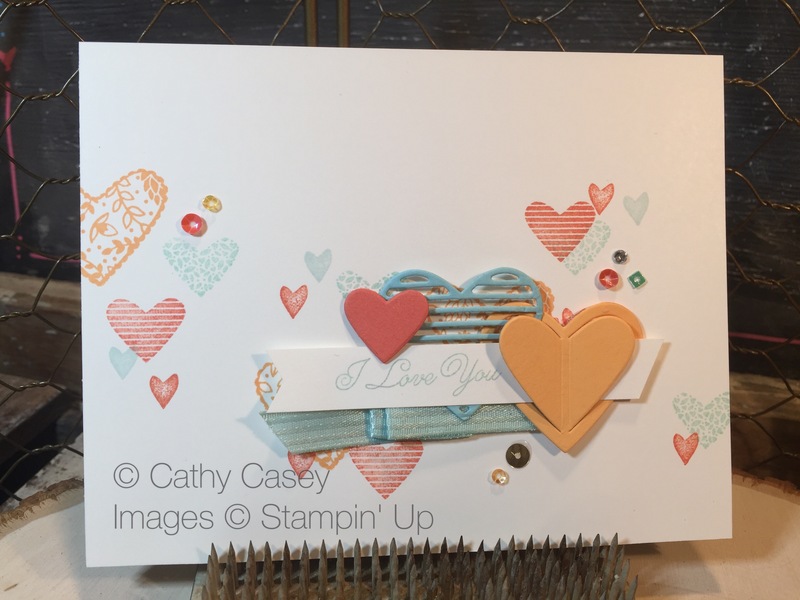 A couple of hearts are die cut in Pool Party, Peekaboo Peach and Calypso Coral. 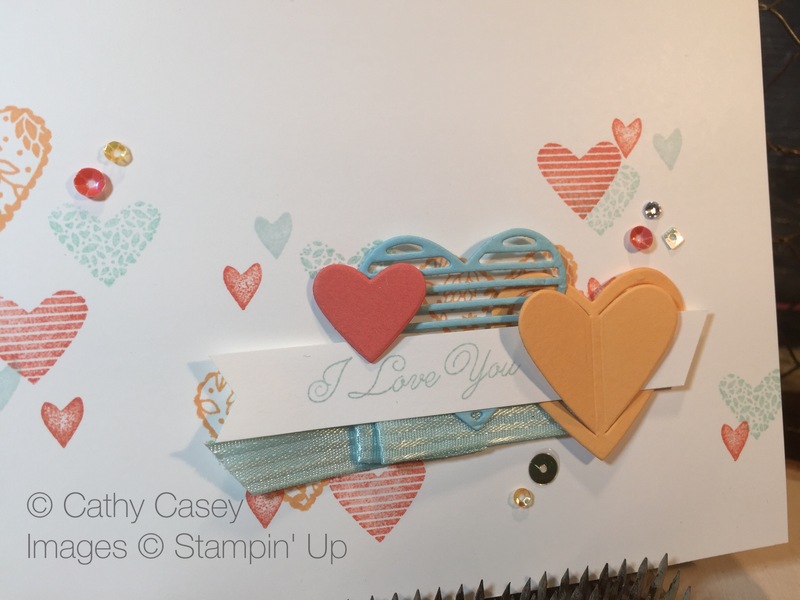 These are layered with the “I Love You” sentiment and some Pool Party Stitched Satin Ribbon. The final touches are sequins from the Cupcakes & Carousels Embellishments Kit and Sprinkles Embellishments. I hope this card pulls your heart strings too! This entry was posted in Cards, Framelits Dies, Stampin' Up and tagged Cupcakes & Carousels Embellishment Kit, featured, Love Notes Framelits, Sealed with Love by kate80132. Bookmark the permalink.